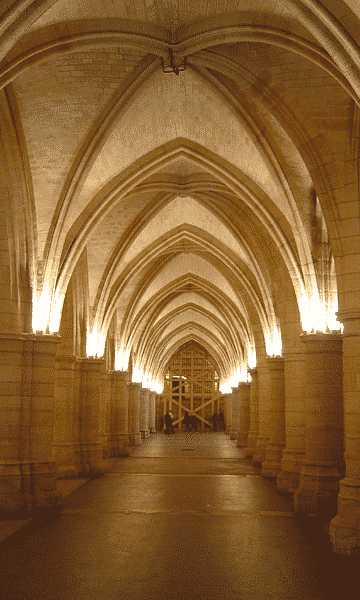 In the heart of Paris, visit The Conciergerie: the remain of a medieval Royal palace which became one of the main prison during the French Revolution, with the installation of the Revolutionary Court. This mythical palace abandoned by The Kings of France at the end of the XIVth century is still haunted by the ghost of a Queen once accused of all the monarchy’s sins. 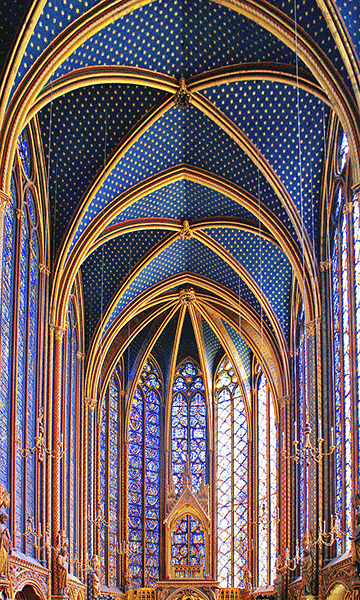 On option, visit the Sainte Chapelle with its unique Gothic style. As a traveler’s best friend, your expert guide will enjoy sharing anecdotes and stories with you during this private tour. 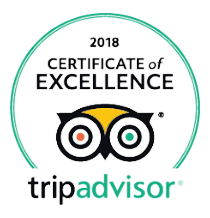 Enjoy a private tour with a friendly devoted expert. 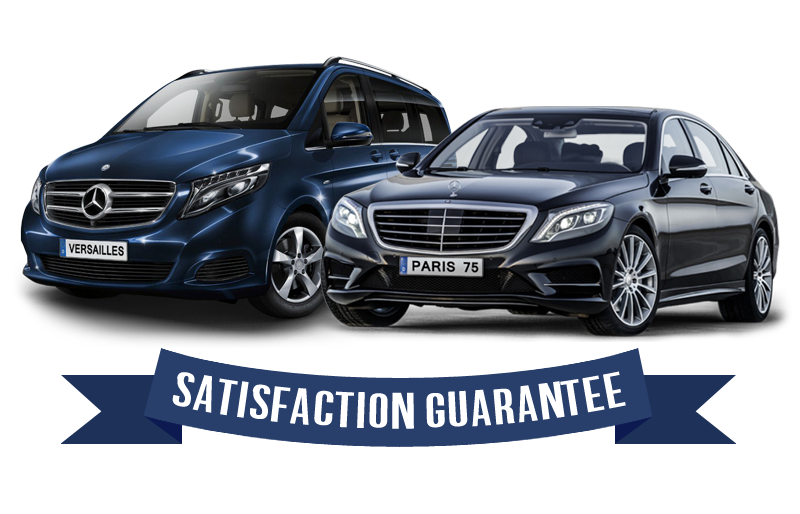 Possibility of an escorted Round trip drive from your place of stay to versailles palace (on option). 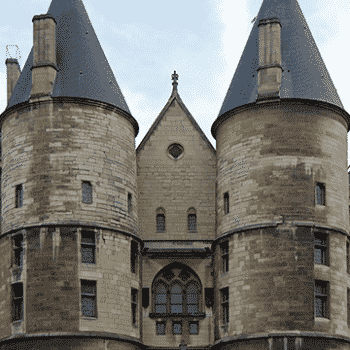 The Palais de la Cité, which remarquable remain, the Conciergerie has crossed the centuries. 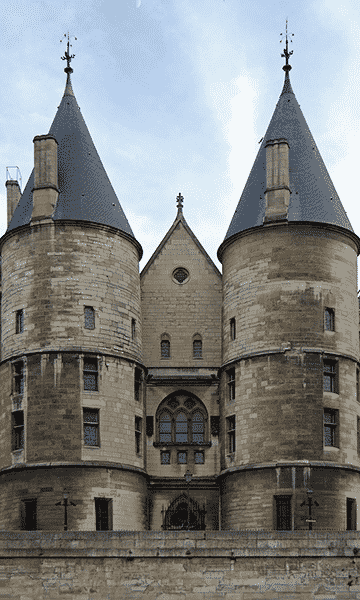 The Conciergerie can be considered as the most ancient trace of kings in Paris, an heritage from Louis IX (Saint Louis) and Philip IV (the Iron King), but it’s also the testimony of the tragic fate of the last queen of France. This ancient medieval palace building was turned into prison at the end of the XIV century. But it’s during the French Revolution, that this place became the most terrible prison of France. A filthy prison indeed, where thousand of political prisoners were packed, summarily trialed and condemned to death before being transported to the guillotine. 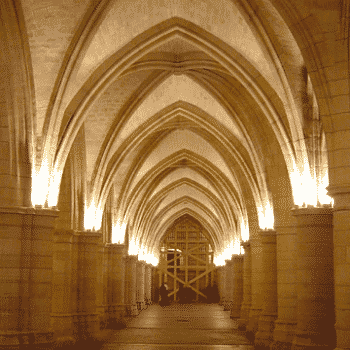 It’s no wonder then, why the Conciergerie was known as the antechamber of death. In this prison, queen Marie Antoinette was thrown and spent the last nine weeks of her life as prisoner 208 of the Revolutionary tribunal. After 76 days, on October 14th 1793, Marie-Antoinette was put on trial for treason and other charges. The next day she was sentenced to death. On October 16th, she left the Conciergerie to meet her final fate at the place de la Concorde. 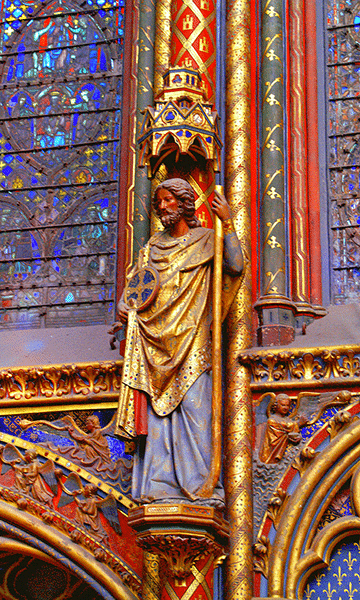 Today, in a splendid Gothic palace, the Conciergerie Museum recalls the glory of the greatest kings of the Middle Ages together with this most tragic episode of the end of the french monarchy. 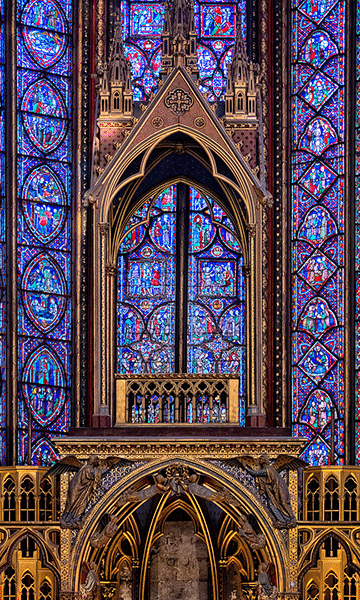 The Saint Chapelle: A gem of Gothic style. From the courtyard of the Conciergerie, you will reach that absolute masterpiece of Gothic architecture, built for Saint Louis to house precious Christian relics, including Christ’s crown of thorns the king had bought in Venice in 1239. 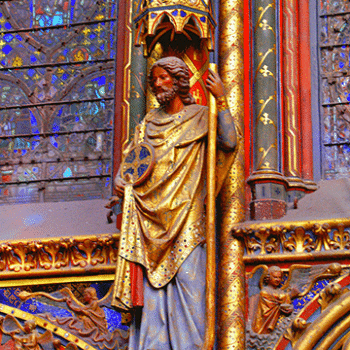 Having these sacred relics in his possession made the already powerful monarch head of western Christianity. In the upper church of the chapel, walls have almost disappeared, the architecture is lightened as much as possible in order to leave room to the huge 15 period stained glass windows recounting scenes from the Bible. 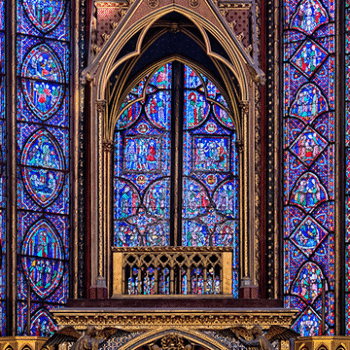 An impressive feat indeed which, from the inside, gives this place the stunning appearance of a splendid reliquary, a huge and most precious jewel-case bathed in golden and iridescent light. Walk up to the Revolution square (place de la Concorde) where Queen Marie Antoinette lived her last breath. Walk up to the Square Louis XVI, located in the heart of Paris. This lovely square, just a step from our office, where the French have lunch during Spring & Summer, also houses to the expiatory chapel, built in 1815 on Louis XVIII’s orders on the site of on old mass grave of victims of the French Revolution. In 1793, Louis XVI, Marie-Antoinette, and other figures, were buried there. This neoclassical building is dedicated to the memory of the royal family. 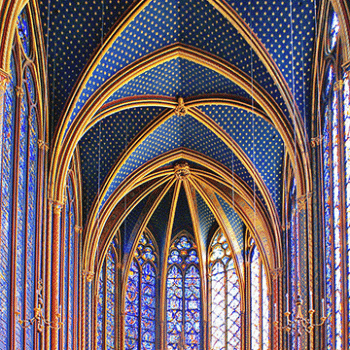 Together with the Basilique de Saint-Denis, the Expiatory chapel is one of the memorial sites paying tribute to the French monarchy. Experience a 100% real VIP experience: discover the Conciergerie outside opening hours.